Those of us who live and work along Little Assawoman Bay think of ourselves as stewards of this irreplaceable waterway. 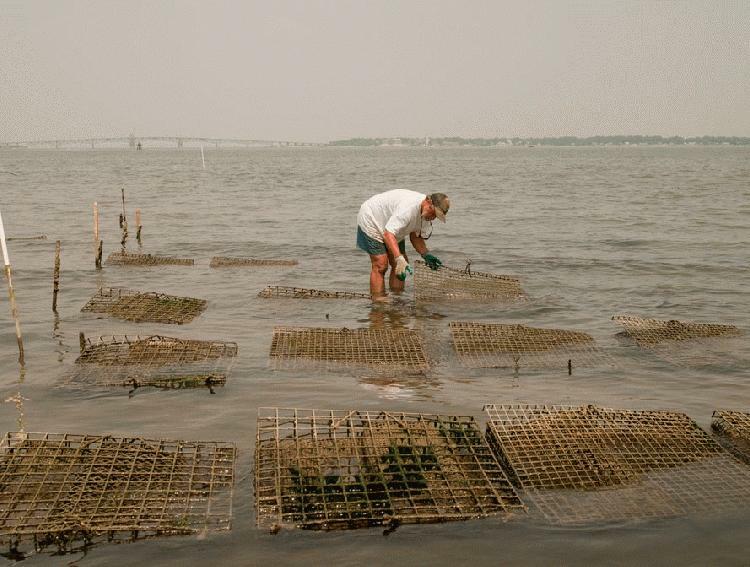 A shellfish aquaculture program for Delaware's inland bays (Little Assawoman, Indian River, and Rehoboth) may have merit, but the program as adopted [see Read More below] raises many issues of concern. 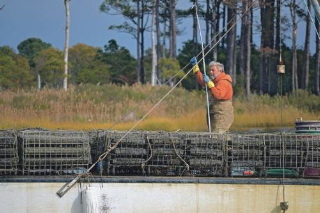 The new Delaware shellfish aquaculture program was developed by the Center for the Inland Bays, passed unanimously by the General Assembly, and signed into law by the governor on August 28, 2013. Regulations implementing it were developed by DNREC (Department of Natural Resources and Environmental Control) and issued on August 11, 2014. The U.S. Army Corps of Engineers has reviewed DNREC's application for a blanket permit for leasing. The resulting plans will transform the bay's character from one of tranquility to that of an industrial fishing operation. Plot area. Little Assawoman, the smallest of the three inland bays, is being asked to absorb the largest percentage of plots—occupying as much as 10 percent of its area, versus a maximum of 5 percent for the other two. The remainder of the bays was deemed off limits because of bacterial pollution, navigation routes, and current fishing uses. The farms will thus be placed in the cleaner parts of the bay, possibly further contaminating them as well. Plot navigation channels. Twenty-foot navigation channels are mandated between each acre plot, designed to accommodate up to 25-foot-long work boats, some using winches, traveling in and out apparently at any hour. Markers. The regulations would bring a visual cacophony of up to 472 PVC marker poles (6 inches wide x 5 feet tall at high tide), with large reflective orange markers, bright buoys around the plots, and other signage; shellfish cages; work boats; and possibly lights to the eastern side of the bay. Even people close to the program have said that such extensive marking is not used elsewhere, suggesting significantly fewer markings. Small craft hazards. Placing the plots near Little Assawoman's eastern shore will block access to Coastal Kayak's rental business as well as residential piers. This change may force recreational boaters, kayakers, and paddleboarders toward the center of the bay, where the single navigation channel is used by power boats and jet skis, posing significant safety hazards. Shallow water. Little Assawoman Bay's eastern shore is so shallow that navigation there is already difficult; the plots may consequently be difficult to tend by boat or on foot. Intrusions. Work on the shellfish farms will introduce odors, sounds, chemical contamination, and possibly unwanted biological material and invasive species. Loose debris. The farms will place easily dislodged objects in the bay, which is subject to shifting currents and storms, creating debris that may wash up into the wetlands and beyond. Unknown impact on bird life. Intensive work in the bay may interfere with the area’s nesting ospreys, herons, eagles, and other bird life. In addition, there are turtles here that travel to lay their eggs in the sand. Cleansing the water. The aquaculture initiative was approved on the basis that the shellfish would filter and help clean the polluted bay waters, although scientific evidence seen to date does not validate or quantify this hoped-for result. Public proponents suggest that at most the shellfish might clean the unwanted nutrients (nitrogen and phosphorus)—not the larger areas of bacterial pollution—by up to 25 percent. Scientific researchers put this figure much lower, at a fraction of this amount. The inland bays have a surface area of 32 square miles, with an average depth of 4 feet. This represents a total volume of 26.7 billion gallons. To filter this volume of water once daily would take at least 533.83 million more oysters (currently about 40,000 oysters are being raised in oyster gardens). That leaves a lot of bay area still requiring cleansing. Employment. Another goal of the program is to create employment. Jobs—only about 186 have been suggested, perhaps over more than a decade—may be minimum or low wage and could go to out-of-state workers. Economic benefits that accrue to leaseholders may actually go to non-Delaware residents. And any jobs and business income could be offset by the program's negative effects on Coastal Kayak. Economic development. Despite being promoted as a contributor to the state's economic resources, the program itself is not projected to be self-sustaining, i.e., the lease fees will not cover the administrative costs to DNREC and other state agencies. Thus, state taxpayers will be underwriting the program through the state's general fund into the visible future. And any income may be offset by declining tourism, property values, tax revenue, and current business income. The plan puts the shellfish plots in the cleanest part of the bay, but is it clean enough? Water running off Route One pours into Little Assawoman. Work around the plots will introduce other elements and muddy the waters. Will the state be able to ensure that the products grown here will be clean enough for consumption? Claims of how much degraded water the shellfish can clean are also variable and remain to be verified here. Oysters or clams grown in Little Assawoman will have to be inspected to be sure they are healthy and clean enough to eat. This area is subjected frequently to strong winds out of the west that push water and debris onto nearby properties. DNREC plans to require bonds to protect itself should a lessee abandon an aquaculture site and to mandate that lessees carry liability insurance. Nevertheless, if high tides and strong winds detach equipment and carry it into adjacent communities, they will likely be responsible for sorting out who owns what equipment, who should clean it up, and whose insurance might cover the claims. In past storms on Little Assawoman Bay, considerable debris has washed up into the wetlands and onto properties along the eastern shore. It seems inevitable that shellfishing equipment will do the same. Leaseholders in work boats will introduce sounds, odors, lights, and potentially non-native species to the bay. Their equipment and gear are not required to follow uniform standards, so an uncoordinated assemblage of mismatched cages—including unsightly floating devices—and other gear may compound the clutter from excessive markers in the bay. Fishermen will regularly come to the bay to tend their cages or flats. In the very shallow waters here, they will be stirring up the muddy bottom.